Finding low cholesterol foods and building a healthy diet plan around them is a huge part of not only improving your general health but also lowering health risks related to elevated cholesterol levels. With the right food choices, you can not only make sure your bad cholesterol levels don’t rise any higher – you can actually lower your bad cholesterol, and thus lower your risk of heart attack and stroke. If you’ve already suffered from a heart attack, it’s particularly urgent for you to put a diet in place. I hope you will get inspiration to do this from the below list of low cholesterol foods. A diet based on low cholesterol foods doesn’t have to be bland, not at all, and it doesn’t have to be a tedious chore to stick with. As you’ll see from the list below, you can still enjoy a wide variety of delicious foods while lowering your cholesterol. All these good cholesterol foods can help stabilize and even often lower your bad cholesterol levels. Salmon is widely seen by doctors as being a kind of ‘super food’ when it comes to lowering cholesterol. In truth all fish can help lower your cholesterol naturally because fish contains omega-3 – but salmon is particularly good for you because it tends to contain relatively high levels of omega-3 and low levels of toxins like mercury compared to other fish. Generally doctors recommend everyone try to eat at least two servings of fish per week. If you’ve as unfortunate as to have already had a heart attack or you’ve been diagnosed as being particularly at risk because of your cholesterol levels, you should aim to eat more than that. Discuss this with your doctor to determine how much fish you should be eating. Salmon lends itself well to salads and sandwiches as well as a variety of dinner meals, making it a versatile food that can be used to replace high cholesterol protein sources like steak. They may seem like an unlikely savior for people with high cholesterol, but walnuts can be powerful as a low cholesterol food for snacking. In fact, most nuts can be good for your cholesterol levels as long as you don’t eat too many, because they contain ‘good fats.’ These help to lower your bad cholesterol levels. If you have a tendency to cook with butter a lot and use it as a spread for sandwiches, it will be a good idea to see if you can find some alternative. You might need to review the cooking methods you use to see which ones rely on saturated fat oils and products like butter. Perhaps see if you can find methods that avoid oil altogether, or consider using products containing ‘good fats’, unsaturated fats. 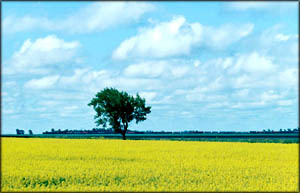 Canola oil is a good option and there are also many canola and olive oil based spreads available – just watch out for trans fats when buying margarine products. 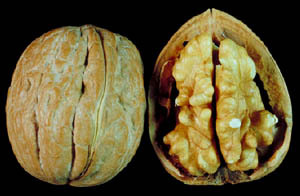 These two foods, without the skin, are very low in fat compared to many of the other meats that make up a typical diet in the United States and many other Western countries. If you tend to eat a lot of fatty meats like beef, you can substitute in chicken and turkey and reduce your incoming bad cholesterol without any major losses in terms of taste or enjoyment of your food. One thing to keep in mind, though, is that red meat is a good source of iron so if you’re subbing it out of your diet for other meats, you’ll need to look at other high-iron foods you can include elsewhere in your diet. Conveniently, many herbs and spices such as rosemary and thyme have a high iron content, so when you start flavoring your food with these and other healthy options you may even be able to raise your iron intake above what you were getting previously. Apples and pears are both particularly high in fiber compared to many other fruits, which makes them useful foods that lower cholesterol. These two fruits are ideal snack foods on their own and can also be a good basis for a fruit salad dessert. Remember though – eating whole apples and drinking apple juice is not the same thing. Fruit juices are usually highly processed and often have extra sugar added in. 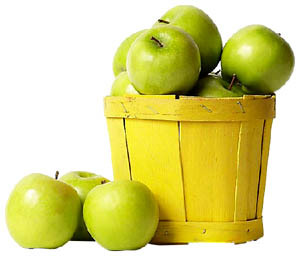 If you want the health benefits of apples and pears, a good general habit is to stick to the whole food versions. 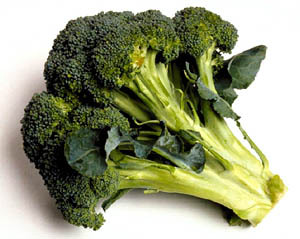 Any good cholesterol lowering diet should include a lot of vegetables. Vegetables make a great base for a healthy diet because for the most part they aren’t calorie-dense – in other words, you can eat a lot of vegetables and “fill up” without the risk of adding body fat. Vegetables don’t contain saturated fats and a wide range of vegetables in your diet will help make sure you get your dietary requirements of a variety of vitamins and minerals like vitamin E and vitamin A.
Oatmeal and other foods high in soluble fiber (things like oat bran and many wholemeal foods) are great cholesterol lowering foods. Oatmeal has been given the nod by the FDA as having a positive effect for people with high cholesterol. Oatmeal is ideal as a breakfast food so it’s a good option to get your day off to a cholesterol lowering start. The important distinction here is between soluble fiber and insoluble fiber. Most people who know anything about fiber really only know about insoluble fiber – the stuff that passes through your system and keeps your bowel movements regular. Soluble fiber reduces the amount of cholesterol your body absorbs from the intestine, in effect lowering the amount of bad cholesterol that gets into your bloodstream and builds up to cause plaques, which is how cholesterol may cause heart disease and heart attacks. Along with nuts, many types of seeds are rich in the ‘good fats’ your body requires for many essential processes, making them great foods to lower cholesterol:. 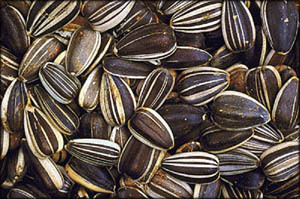 Sunflower seeds have been shown to contain phytosterols (plant sterols) which help lower bad cholesterol. As well as lowering your cholesterol, adding sunflower seeds to your diet may even have positive effects for protecting your against cancer. You can cut out a lot of animal-based products (which are often high in bad cholesterol – think fatty meats, milk, and eggs) by replacing them with soy-based alternatives. 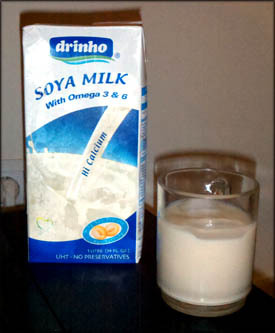 Soy milk is a classic example of a low cholesterol food that can replace dairy milk. Some people simply can’t stand the taste of soy milk – in that case you should be, at the very least, switching to the lowest-fat milk option available to you. Soy sauce is also a good option to add flavor to your meals and goes well with salmon. One of the biggest problems people run into when they try to focus on eating low cholesterol foods is that they accidentally let the cholesterol ‘come in through the back door’ by adding high cholesterol flavorings to what would otherwise be low cholesterol foods. If you’re drowning your meals in flavor enhancers like butter and sour cream, you’ll end up undoing a lot of the good you’ve done by choosing healthy foods in the first place. Again, there’s no reason low cholesterol foods can’t be delicious. If you find your meals lacking in flavor, always look at low fat options. Use low-fat sauces or, even better, start using more herbs and spices to add flavor to your meals. While you set out to rearrange your diet to include the above 10 foods to lower cholesterol, there are also a few high cholesterol foods you should strive to eliminate from your low cholesterol foods diet. Fatty meats – this includes things like steak and pork ribs. It doesn’t mean you can never eat these foods, it just means you can’t let them take an unbalanced role in your diet. You’re still allowed to eat some ‘bad’ foods (although how much depends on how high your cholesterol levels are and that’s something you need to discuss with your doctor). Eggs – while on their own eggs aren’t that bad, eating too many of them and cooking them in the wrong might, however, be bad for you.If you’re going to eat eggs you should cook them in a healthy way, like poaching, rather than frying or scrambling them with oil and milk.Don’t heap salt on them either. Remember, the cholesterol is all contained in the yolks – the whites are rich in protein and are relatively safe. Anything else deep fried, high in saturated fat, or baked and high in sugar should be restricted or eliminated from your diet. Lowering Bad Cholesterol – A Diet Change or Medication?